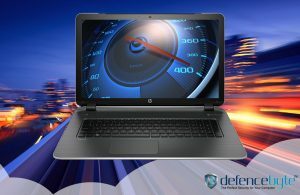 Need to change your computer because of its slow speed? Are you fed up of all the tiny snags that pop up while doing any significant task on a computer? There are innumerable of important tasks that are done regularly. Any disturbance while accomplishing a vital task can lead to big complications. Just because of these certain issues, there are high chances of losing important data and even a delay in essential errands. For a complete solution for all these snags, choosing a reliable Pc Optimizer 2019 software by defencebyte can come up to be the best choice. Choosing it can help in keeping most of the tasks run smoothly without any issue. The best way to elevate PC performance is by removing all the junk files that play a role in curtailing the speed to a high level. Junk files are the temporary files that take up space and slow down the pace. A user can manually search the junk files, but it is recommended to use a reliable software that can help to a great extent. A user can click on Start, and in the search box just type “disk cleanup.” Open the app and choose the drive that can help in cleaning temporary data that is broken down into groups for users to select what to eradicate. Electing the best from the rest can be an ultimate solution. Another most crucial way to help a computer hold its speed is by killing startup programs. These programs can diminish the speed of a PC to a high level and this, in turn, is quite complicated for the overall performance. The simple solutions here is by removing the programs you do not need. • At last, turn off the apps you know that do not need running on startup. The best way to keep your computer running smoothly, make sure your system remains updated. 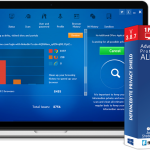 An up-to-date system can help in elevating the performance as well as help in fixing up the issues threatening viruses and malware. Such snags can be quite risky for the overall performance of a PC, so keeping the computer updated can help to a significant degree. So, these were the 3 main solutions you can follow to help your computer run effortlessly. Following them, time-to-time can help users to maintain flawless PC performance to attain their goals. Along with this, using PC Optimizer 2019 software can certainly be more helpful.